A DUI arrest in Oklahoma has immediate consequences for a driver, and often for a driver’s family. When you are arrested in Tulsa on a drunken driving charge, you immediately need the skill of an experienced Tulsa DUI attorney to reduce the impact of the arrest – now and in the future. The first result of a DUI arrest is that you can’t get back in your car and drive away after you bond out of jail. Oklahoma immediately suspends the licenses of drivers who fail or refuse a test for alcohol in their system. The immediate suspension is only temporary. A Tulsa DUI lawyer can apply for a modified suspension, allowing you to drive under certain conditions, such as for work or with an ignition interlock device. It is urgent that you act immediately to protect your driving privileges – a 15 day deadline starts when you are arrested. After that time, you may no longer be eligible to appeal the suspension and could lose your license for six months, a year, three years or more. The loss of driving privileges is an administrative process based in part on an implied consent law that says all motorists agree to blood or breath alcohol tests under certain conditions. Unless DUI charges are proven in court you are still presumed innocent. If a breath alcohol test was not properly administered or documented, if police had no valid reason to stop a driver, or if you weren’t driving at the time you were arrested, the case against you may fall apart. A skilled Tulsa DUI attorney can fight the charges, or work with prosecutors to get charges reduced. Weaknesses in the case against you can improve your DUI attorney’s chance of working a plea agreement or getting charges dropped. Even when the case against you is strong, your willingness to participate in alcohol treatment program may make a significant difference in the way prosecutors view your case. 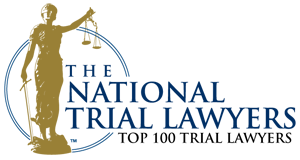 A Tulsa DUI lawyer can advise you which option may be best suited for your circumstances. A first time DUI conviction can result in jail time of up to one year – or four years if a child under the age of 18 was in the vehicle at the time of a DUI arrest. A second arrest can leave you incarcerated up to five years, and with significant fines and court costs. A DUI conviction can affect your ability to find or keep a job. A felony DUI conviction can result in your loss of hunting privileges, voting rights and the right to hold a public office. Whether you need to fight a charge with all your resources, or a DUI arrest is a wake-up call telling you to refocus your priorities, your best course of action is to seek the knowledgeable advise of an experienced Tusla DUI attorney. After you’ve been arrested for DUI in Tulsa, it’s urgent that you retain a knowledgeable DUI attorney immediately, while your recollection of the arrest is fresh in your mind. Minor details only you may recall can make a large difference in the outcome of a DUI case. Wirth Law Office’s DUI attorneys’ experience in felony defense and misdemeanor defense provides the depth of legal knowledge essential to defending DUI cases. The first step in defending a DUI case is to review the evidence. 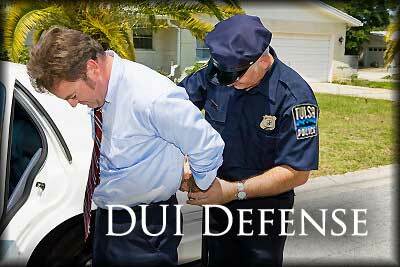 Your Tulsa DUI lawyer will request copies of documents and examine the case prosecutors will try to make against you. With an understanding of how the case is likely to proceed in court, an Oklahoma DUI lawyer at Wirth Law Office will discuss with you your options. Together, we’ll set a strategy that best fits your preferences and circumstances. We won’t pull any punches – it is our job to let you know when it may be best to negotiate and when it’s best to fight a DUI charge. If your circumstance requires you to change some old habits, your Wirth Law Office DUI attorney will be a respectful ally who helps you build your confidence in your ability to chart a new course. 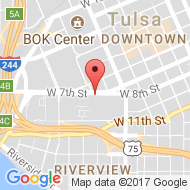 Wirth Law Office’s Tulsa DUI lawyers offer free consultations for those who need to know what options are available for a person arrested for DUI. In a brief initial consultation, our DUI attorneys can get an overview of your case, provide you a summary of options that might be available. If you or a family member is facing a DUI charge, call the Wirth Law Office immediately for a no risk, no obligation consultation. Call us immediately at (918) 879-1681 (or toll free at (888) Wirth-Law) or submit the question form at the top right of this page.